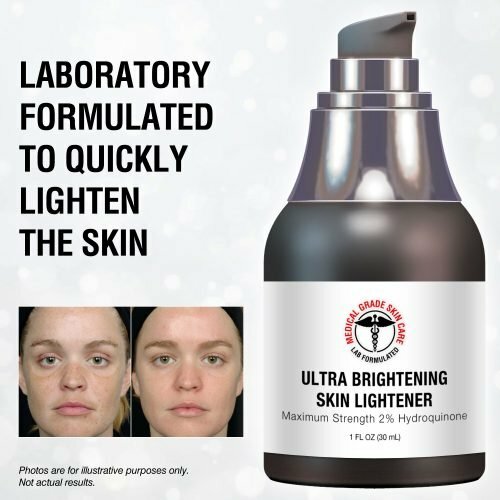 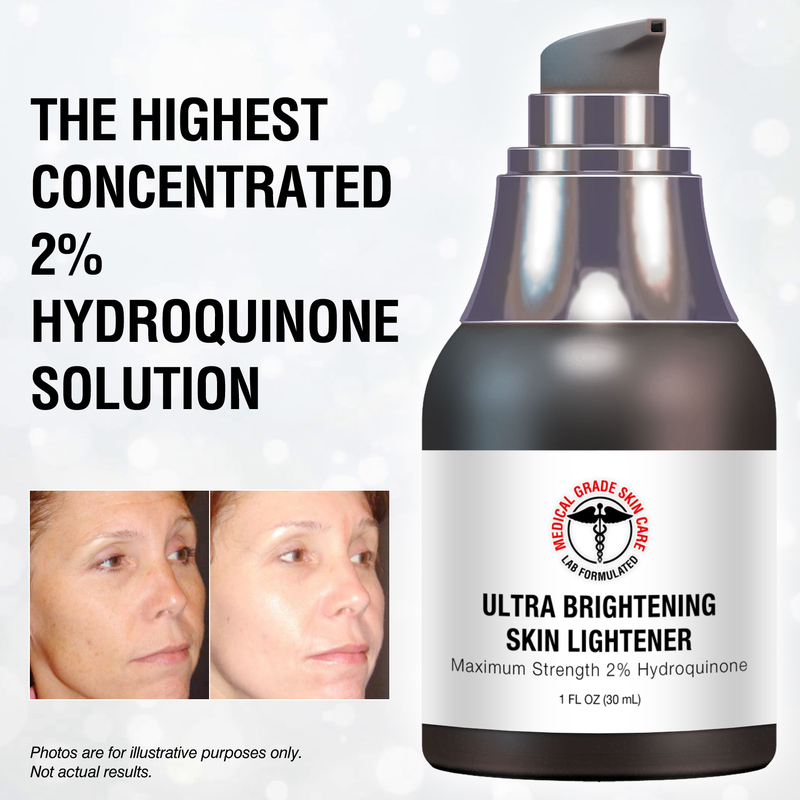 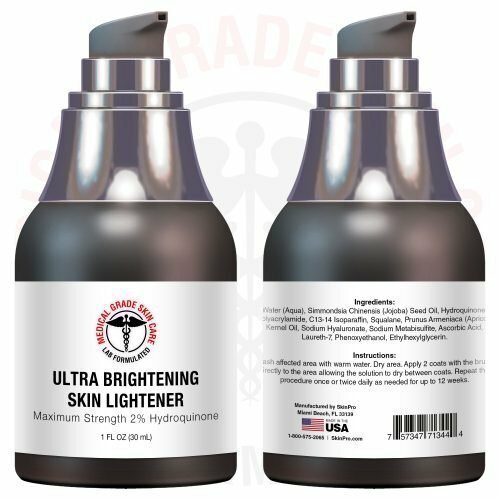 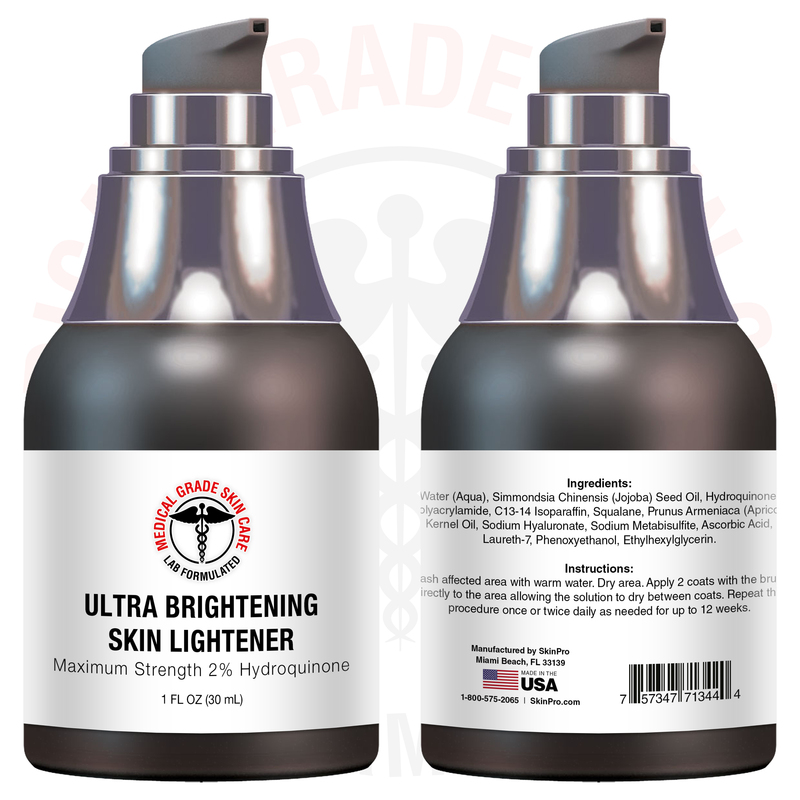 Skin Lightener with 2% Hydroquinone - Brighten & Lighten! 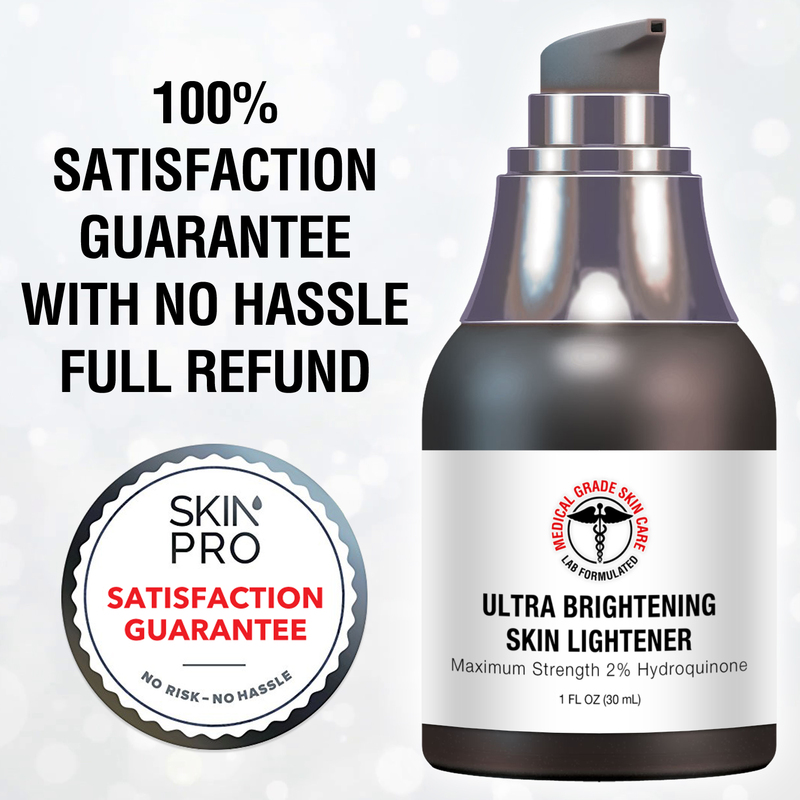 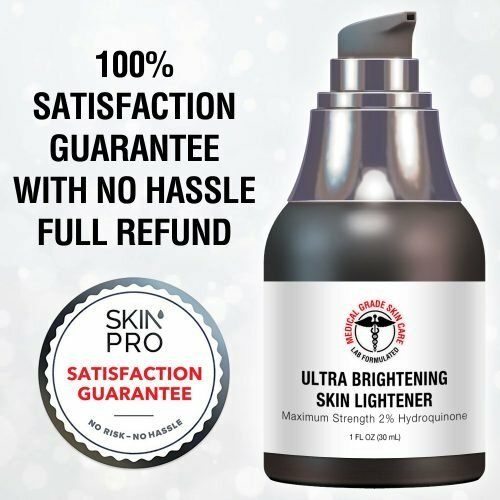 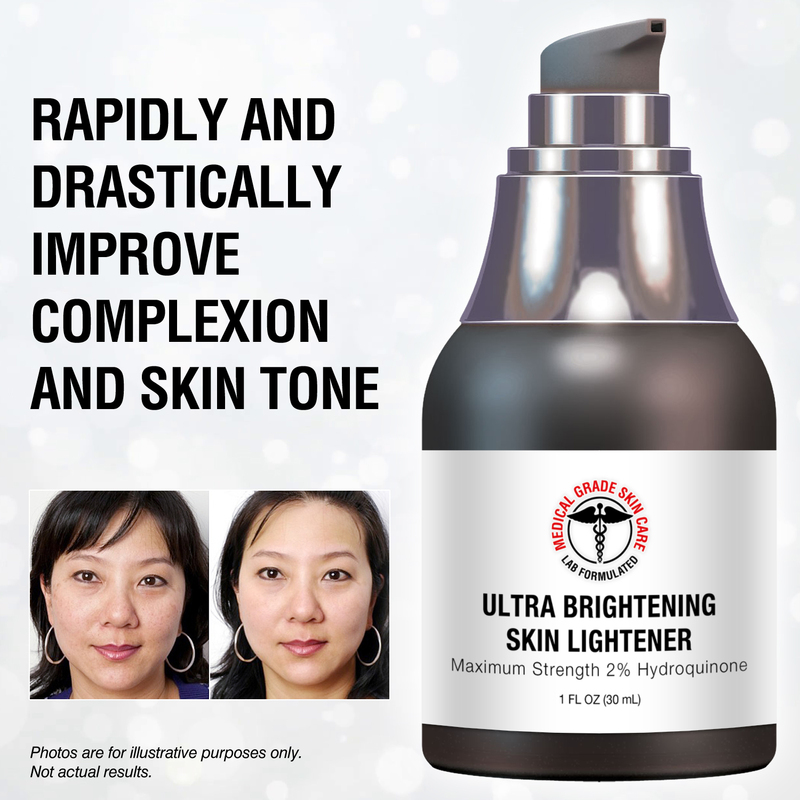 With a maximum strength of Hydroquinone in the highest allowable amount, the Ultra Brightening Skin Lightener from SkinPro’s Medical Grade Skin Care line of products works fast to eradicate dark spots and prevent future occurrences of hyperpigmentation and uneven skin tone. 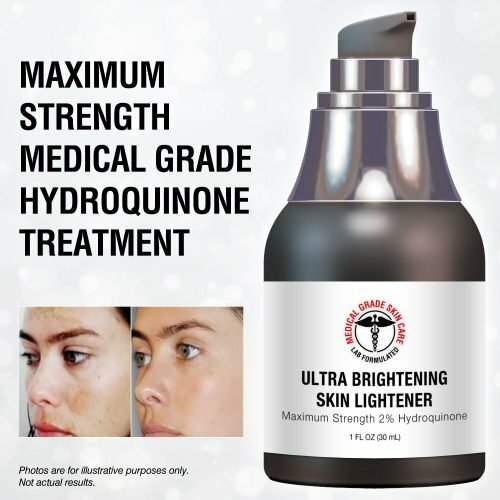 This product works by inhibiting melanin synthesis in the skin, which plays a key factor in bringing dark spots to the skin’s surface. Use this hydroquinone cream to fade the appearance of hyperpigmentation, sun spots, age spots, liver spots and freckles by several shades. After applying this cream, the darkened cells in the skin are replaced with new, fresher, lighter cells that restore a more even skin tone. Skip the painful chemical peels and costly bleaching treatments and bring back a uniform complexion all from the comfort of home! Apply 2 coats with the brush directly to the area allowing the solution to dry between coats. 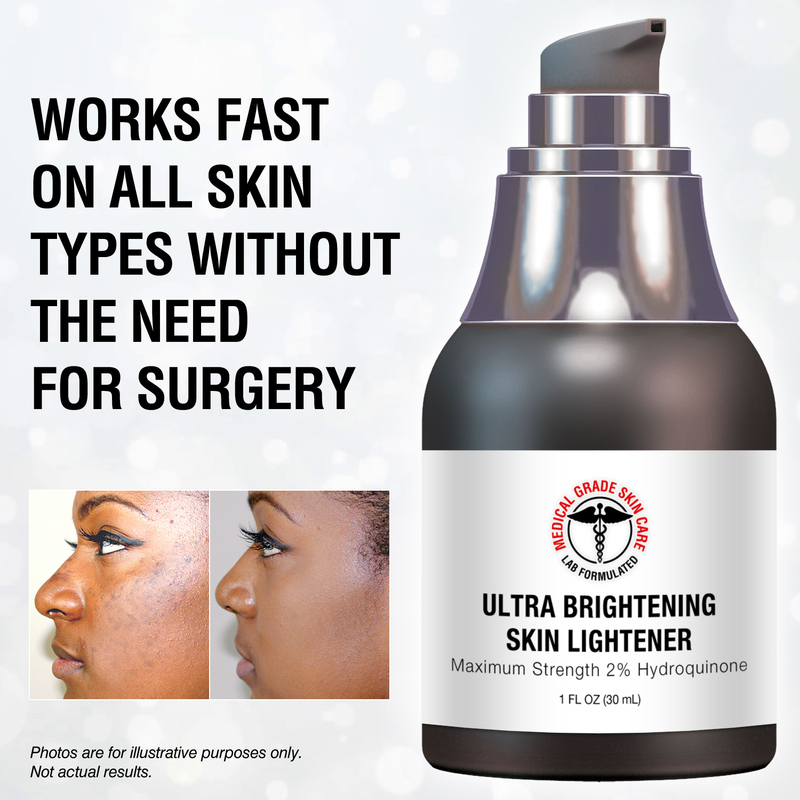 Repeat this procedure twice daily as needed for up to 12 weeks. 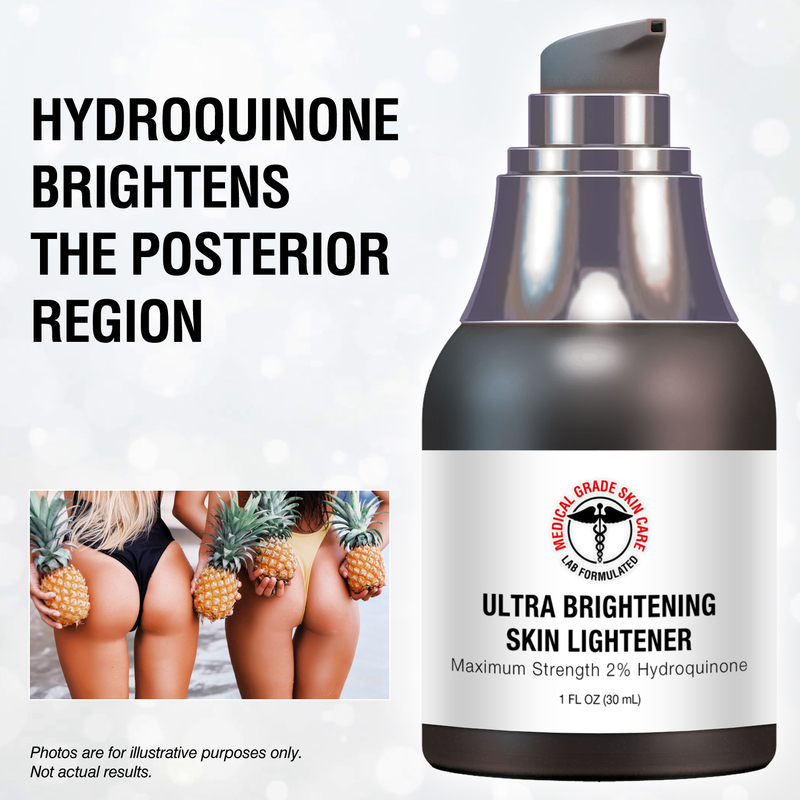 Water (Aqua), Simmondsia Chinensis (Jojoba) Seed Oil, Hydroquinone, Polyacrylamide, C13-14 Isoparaffin, Squalane, Prunus Armeniaca (Apricot) Kernel Oil, Sodium Hyaluronate, Sodium Metabisulfite, Ascorbic Acid, Laureth-7, Phenoxyethanol, Ethylhexylglycerin.